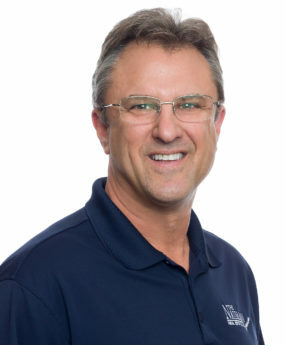 Kevin is a 1984 graduate of Florida State University and has been active in Tallahassee real estate for over 30 years. Having owned and managed his own real estate company for the majority of his career, Kevin has consistently been a Top Producer with the Tallahassee Board of Realtors, with over $300 million in closed transactions. Licensed in 1987, Kevin was a Broker/Owner of his own real estate oﬃce starting in 1991. During this time, Kevin held the title of Top Producer with TBR for a number of years in the late ’90’s and early 2,000’s. Kevin was a developer and sales agent for Penny Lane, a very prestigious neighborhood located in midtown Tallahassee. From 2003-2008, Kevin also worked as a sales agent for many beach condos in the Destin and Panama City areas, totaling over 25 million in sales in 2007. Kevin continued as managing Broker and owner of Blue Chip Realty through 2008. Now with The Naumann Group, Kevin works as a Broker Associate with Jason Naumann. Kevin and Jason have successfully managed several development sales including, the “1 Day Condo Sale” in Barrington Park that resulted in over 120 contracts written in just one day. In the years 2012-2017, Kevin sold and closed over 20 million in sales, each year. Kevin continues to specialize in the exchanging of real estate, listing high end properties, and relocating clients to the Tallahassee area. His niche in recent years is coordinating new construction projects for clients that want to custom build: ﬁnding the lot, developing the home plans, selecting the builder, providing interim housing and ﬁnal move in. Kevin has also been instrumentally involved in The Naumann Group opening a branch oﬃce at the beaches of 30 A, listing and selling high end property on the east end of 30A. Kevin has two sons; Casey who is a 2013 graduate from University of Florida Fisher School of Accounting, and Cole who is a 2016 graduate of Florida State, with a degree in Marketing and Sales. Cole recently joined our real estate team and is becoming an increasing force in the market.